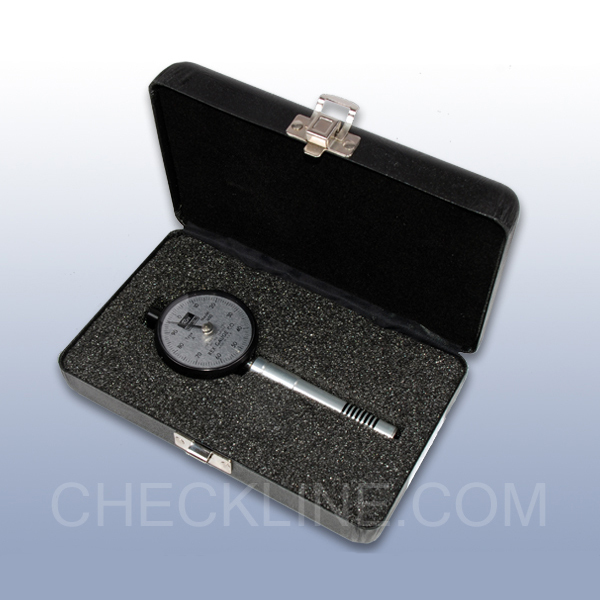 RX-1600-C - Type C Durometer for Medium hard elastomers and plastics. 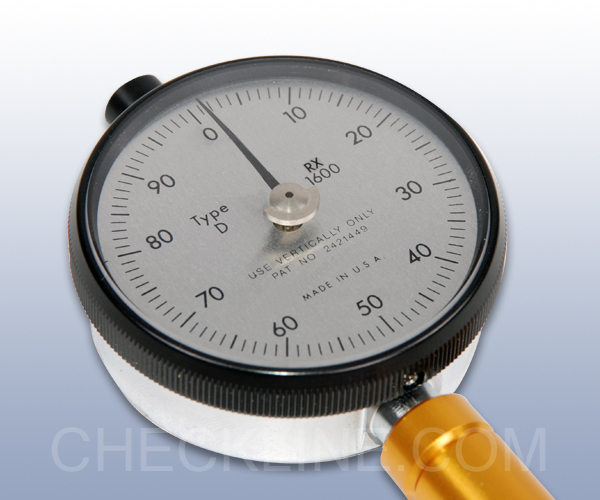 RX-1600-C Type C Durometer for Medium hard elastomers and plastics. 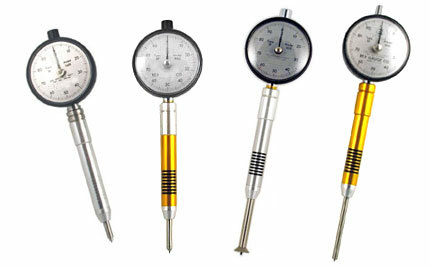 - Measures O-Rings 1/16" to 1/4"
We offer a complete line of durometer test stands. 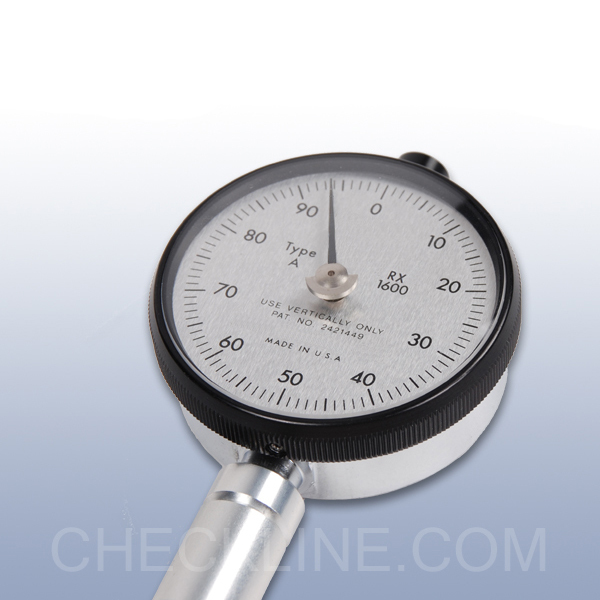 The stand, when used in conjunction with a Durometer, eliminates operator error sometimes associated with hand-held durometer testing. 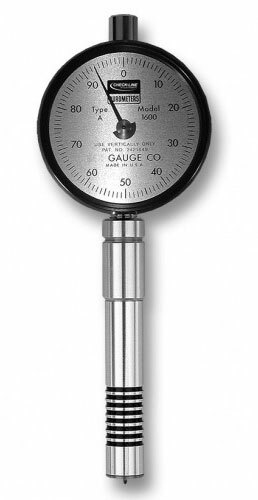 Our stands feature a load weight for the proper testing pressure as noted in ASTM D2240, and a quick-lock column for easy adjustment. 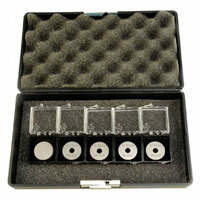 Click here for more info on Durometer Test Stands. 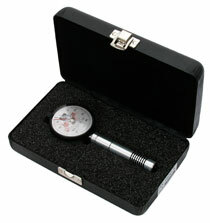 The RX-1600 is supplied as a complete kit including the durometer & instruction manual in a foam-fitted metal carrying case. 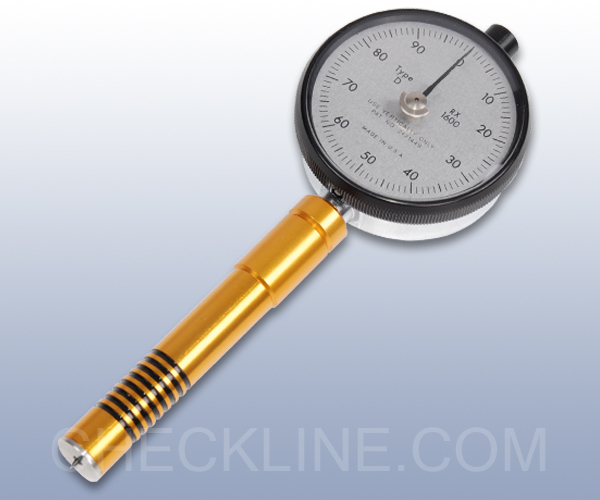 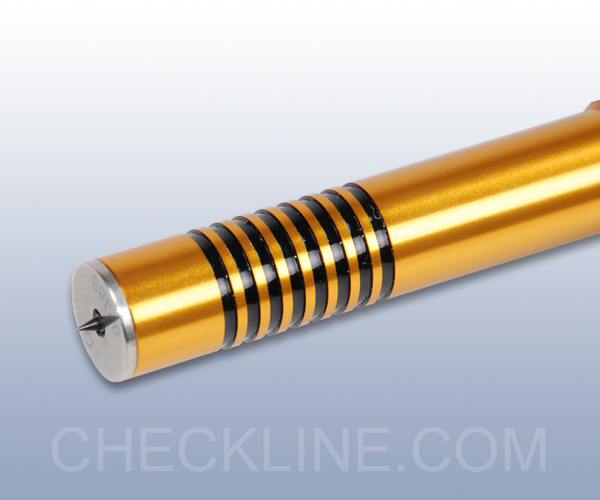 We offer custom slim probe versions of most durometer models and types. 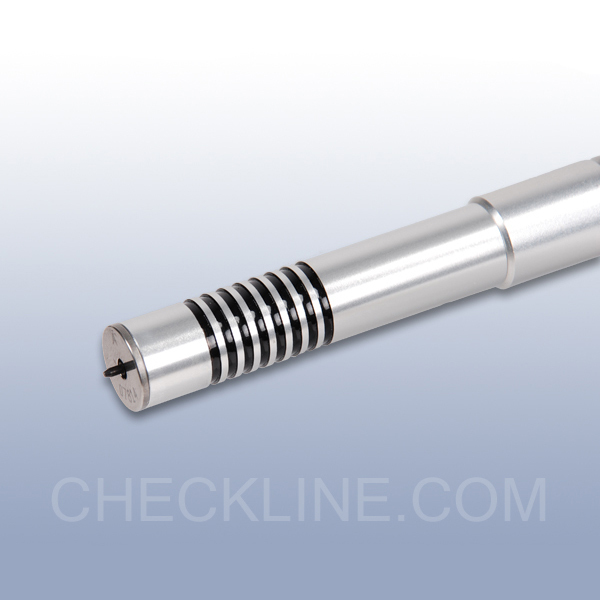 The slim probe attachment can be modified to fit your specific needs or applications. 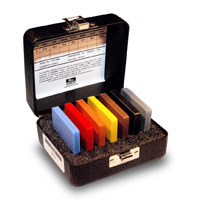 Tolerance ± 0.5 at "100" and -0 +1 at "0"
* Note per ASTM D 2240-05, Sect 9.3: It is accepted that durometer readings below 20 or above 90 are not considered reliable. 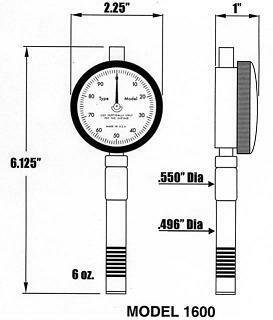 It is suggested that readings in these ranges be omitted. 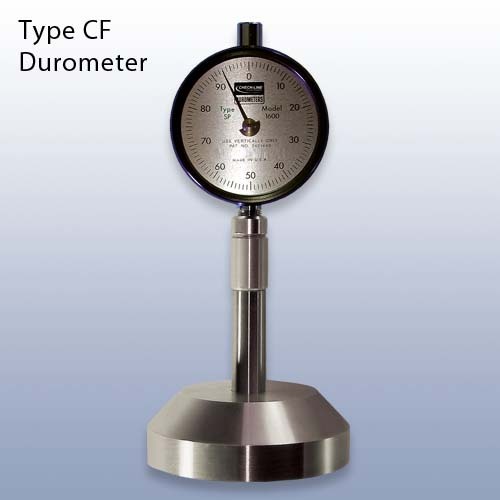 Type C Durometer for Medium hard elastomers and plastics.